One of the more problematic addiction problems in the US involves the abuse of drugs and medication that would otherwise be used for legitimate medical treatment. Doctors prescribe a wide variety of FDA approved pharmaceuticals every day for a number of different ailments. However some of these drugs-like painkillers and stimulants-command a hefty price tag on the street and can quickly become a problem if abused. There is a dangerous misconception that pharmaceuticals and prescription meds are somehow safer than street drugs since doctors are happy to prescribe them. The reality, however, is that prescription drugs are just as harmful as heroin, cocaine, or any other drug addiction. There's a dangerous misconception that pharmaceuticals are safer than street drugs. Generally, prescription drug addicts start out taking the meds according to the instructions of their doctor and the specific prescription. But it’s easy to slip down a slope of taking more than you should or taking the drug even when unnecessary, just to enjoy u the buzz. The more these chemicals are abused, the more of a dependency the user forms, requiring higher or more frequent doses to achieve desired effects. Eventually they begin to experience intense cravings and fall into a desperate cycle of scrambling for more and more of the meds. Pills don’t always come from a doctor’s prescription either. 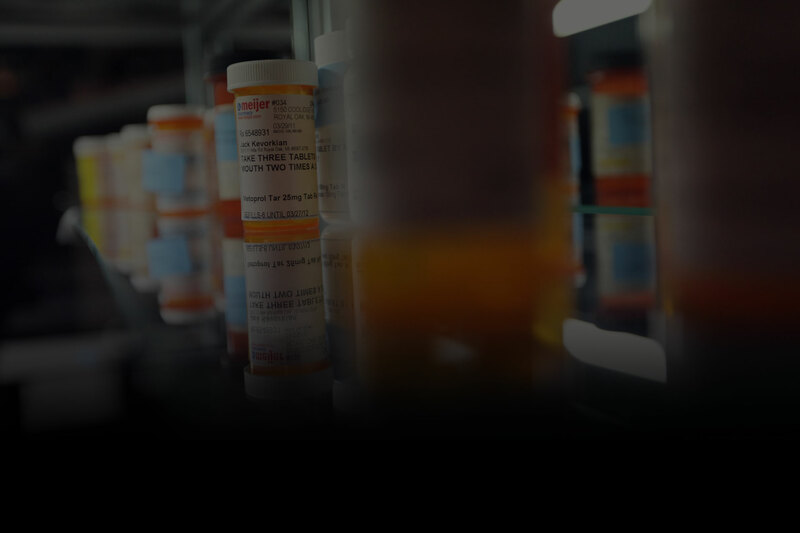 Online pharmacies are making it easier to obtain controlled substances even without a valid prescription and there is a booming market on the street for the trade of “leftover” medication. The effects and seriousness of prescription drug addiction aren’t mild. It’s more than a Codeine buzz. The opioids in painkillers can lead to mood swings, vomiting, decrease in cognitive function, respiratory problems. Stimulants, similarly, can cause heart failure and seizures. These are powerful drugs designed to be used strategically by medical professionals to manage pain and illness in the body. Prescription drugs cause more deaths from overdose than all the other “street drugs” combined. If you or someone you know is abusing these substances or has formed a chemical addiction, seek the advice of a doctor or addiction recovery professional. They can recommend a tailored treatment program that addresses the specific drug addiction and guide toward help. Relying on prescription medication to deal with a medical situation is different than feeding an addiction with uncontrolled use. The inability to discontinue use of a prescription drug, despite the recognized desire to do so, is a telltale sign of an addiction. Realizing that you’ve abused a drug and the need to stop is the first step in the process of recovery but it’s not always easy to just put down the bottle. Once a user enters the cycle of prescription drug addiction, it can be very difficult to get out without professional help. The inability to stop using a prescription drug, despite the desire to do so, is a telltale sign of an addiction. Fortunately, treatment and recovery programs exist to treat the addiction successfully. These rely on a mix of behavioral and pharmacological treatment to manage the cravings and remove the need for the medication. Behavioral therapy is counseling and support that trains you to handle cravings and develop a strong mental and emotional rejection of the addictive cycle. This is the basis for getting your mind right and attention focused on recovery. The pharmacological side of treatment involves a healthcare professional administering low doses of certain alternative medications that can help to alleviate the intense withdrawal symptoms of a medication detox. Both methods serve to move a patient through the detox and recovery process and prepare them for a life of sobriety and healthy daily function. Talk with a doctor to determine what the best treatment plan is for you. As the gatekeepers, doctors are well-positioned to help you face an addiction and find treatment. Get involved in an recovery program that can help you monitor your detox and set you up for sobriety. Visit a doctor frequently to communicate on the recovery process. Avoid the triggers that lead to abuse. It’s easy to convince yourself that prescription drugs are somehow safer or less dangerous as an addictive agent, given that they help so many people deal with pain and illness. But it’s the uncontrolled and irresponsible abuse of these drugs that makes them unhealthy. The psychological cycle of prescription medication abuse often involves telling yourself over and over that it’s helping you, that it’s medicine, or that the drugs are necessary for your “condition.” Only a doctor can help you determine if your condition requires medication or if the condition is actually a drug addiction that requires intervention. Don't let these “medical” excuses keep you chained to a destructive chemical addiction. Deciding to get help in overcoming an addiction to powerful pharmaceuticals is a major accomplishment in its own right and going through the treatment process is not easy. It requires the help and oversight of professionals to help you weather the detox and change your habits but it can be done. Achieving sobriety and learning to cope with cravings often requires more than willpower alone. The very serious pills are strong enough that you won’t be able to kick the habit without medical assistance and other medications. Achieving sobriety and learning to cope with cravings often requires more than willpower alone. Medications are always going to be around, from cold medicine to more powerful pain meds prescribed for injuries. The trick for a recovering addict is to recognize the cycle of abuse and the thought process that convinces a person to relapse. It’s important to stay vigilant and seek support in developing a healthier mindset about the use of medication in your life. For some recovering addicts, even the prospect of taking Ibuprofen for a headache is a challenge. You’re not alone. Stay connected to a support group and continue to visit your doctor regularly to address your concerns. We are one of the most heavily prescribed generations in American history, with almost everyone taking some kind of pill or another. The really harmful ones are the opioids and painkillers but other stimulants and antidepressants are candidates for abuse as well. We’re surrounded by people with prescription pill bottles in their pockets. Don’t be a statistic. Stay connected to recovery groups that can help you avoid relapse based on the easy access to most pharmaceuticals.